One day we saw a listing for a 5,000 square foot brick house (click for a video tour) in a very nice neighborhood. 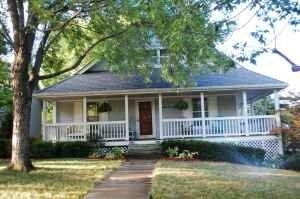 It had been listed for a year with no takers and the price was so low it hadn’t come up in our previous searches. 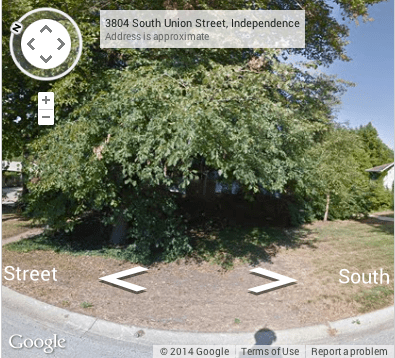 The house was hard to see from the street, because it was so overgrown with brush. 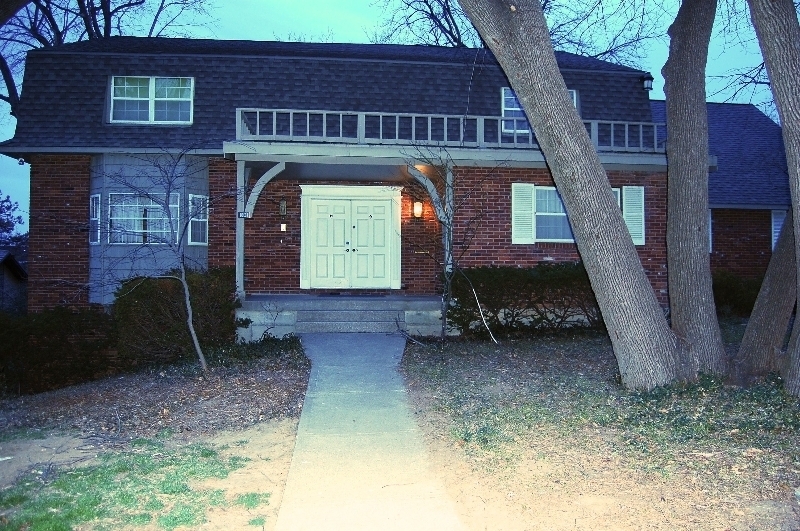 It had been owned by hoarders and the basement was still partially full. Not much had been updated since 1972 and it was currently inhabited by a family of rats. Sound bad? It was, but there were some awesome things about it too – enough that we made an offer that day. After some clean-up. Whoa! There was a 5,000 square foot house behind all that brush? With the low sale price we had a wad of cash ready to make the needed clean up and updates to the house. We lived in it for a year before starting the renovations. The waiting time helped us make sure on our layout changes, which included removing several walls. Then we carefully formed a budget and started doing most of the work ourselves. During: It’s the same view as above–but hard to tell because all of the walls are gone. 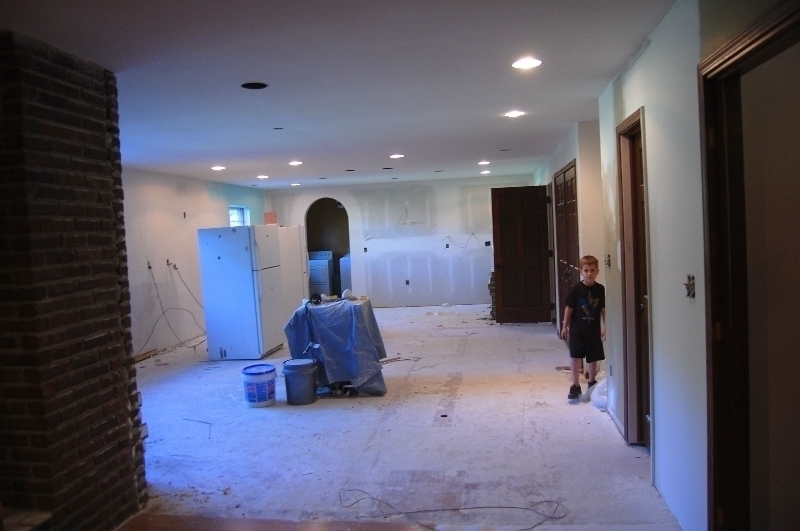 The first room we gutted was our kitchen, the place where most of the money saving magic happens at our house. After surviving a previous kitchen remodel, I was mentally prepared for the inconvenience for about 3 months perfectly timed during summer break (insert evil laugh here.) So how does a mom cook for a family of 8 without a kitchen? 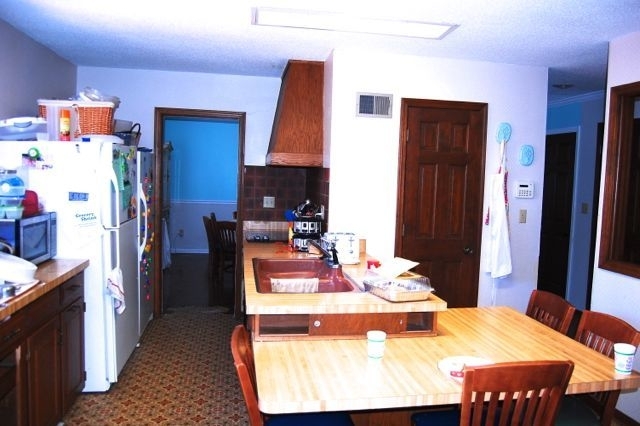 Without cabinets or a good work space, most of my kitchen items had to be packed away. I used plastic storage tubs that stacked easily in our garage. I labeled the outside of each bin with the contents so if I regretted packing an item, I could get it back out easily. I kept out: an electric griddle, blender, electric skillet, Forman grill/waffle iron, measuring cups and spoons, plates cups and silverware; whisks, spatulas, pancake flippers. I also had an 8 cup glass pyrex (with the pour spout and handle) for boiling pasta in the microwave. As our remodel stretched past the 3 month mark, I started to miss things like my wheat grinder, bread machine, potato masher, and knife sharpener. A friend loaned us a nice double hot plate and I wanted my stock pots for boiling pasta then too. Budget for paper plates if you have a big family. 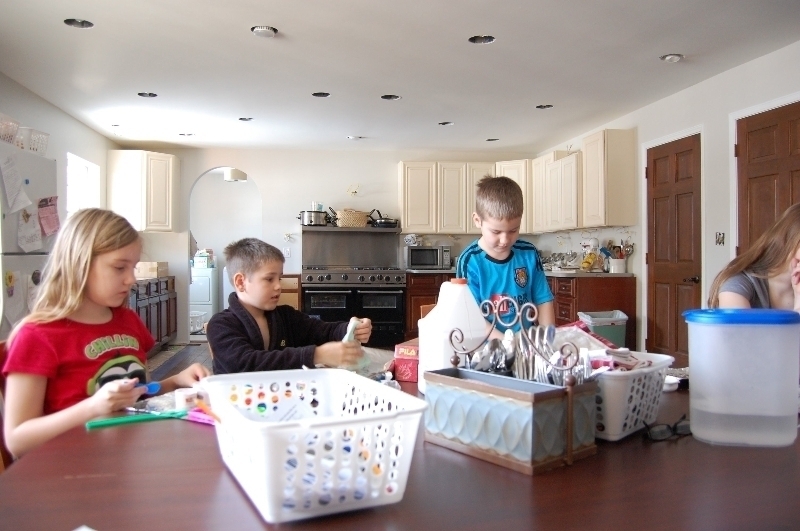 Involve the children with extra chores. 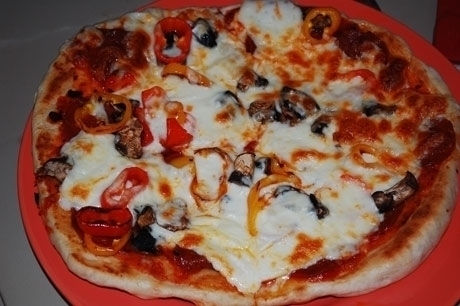 Pizza: Grill on a pizza stone outside on a gas grill, or indoors on a griddle. 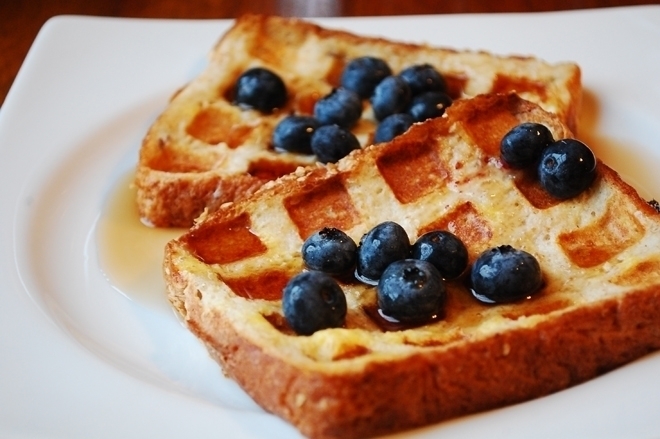 Plan for a simple or convenience meal at least once a week. I’m a die-hard homemade pizza girl, but we used Aldi deli pizzas ($4.99 for a 16” pizza) to take some of the pressure off. And when school started again (I teach and the kid’s activity schedule gets crazy) I needed a fast food run once a week or every other week just to survive. While a weekly convenience item is ideal, it’s not always possible. 4 months into our remodel project we received the bad news that our home had extensive foundation damage not previously discovered in our home inspection. 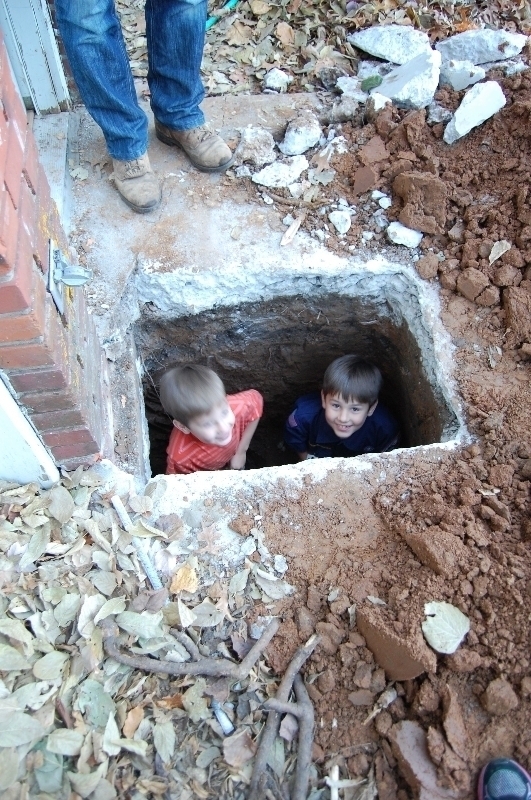 It re-routed $23,000 from our “remodel the entire house fund” to repair. (Which was everything.) Had we known when we bought the house, we still would have bought the house, we just would have torn things up in a different order. A couple of Coffman’s playing in one of our $1,000 pier holes. Might as well enjoy it, right? 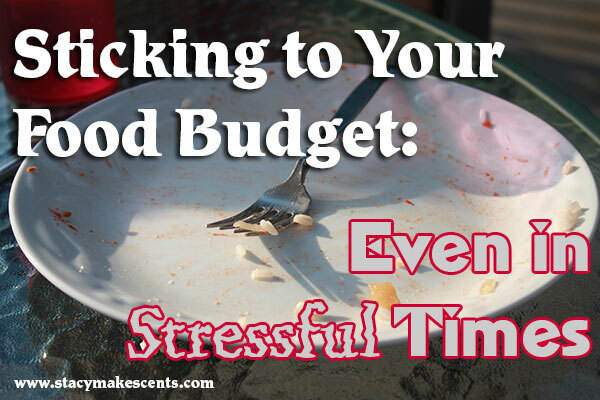 Our best course of action was to tighten down our household budget even further shrinking our $600 food budget for the 8 of us, down to $400 a month. Bye, bye deli pizza. Bye, bye fast food, frozen convenience items and store bought mixes. I wasn’t used to having those things before the remodel, so the only difference was learning to live without them without a traditional kitchen space to work in. I dug out my wheat grinder, started using the bread machine, and mixing up my own homemade mixes. It was hard, but possible when it became necessary. It’s true: You do what you have to do . So this is a picture of where our remodel stands right now. It’s a far cry from our original plan to be finished last August, lol. 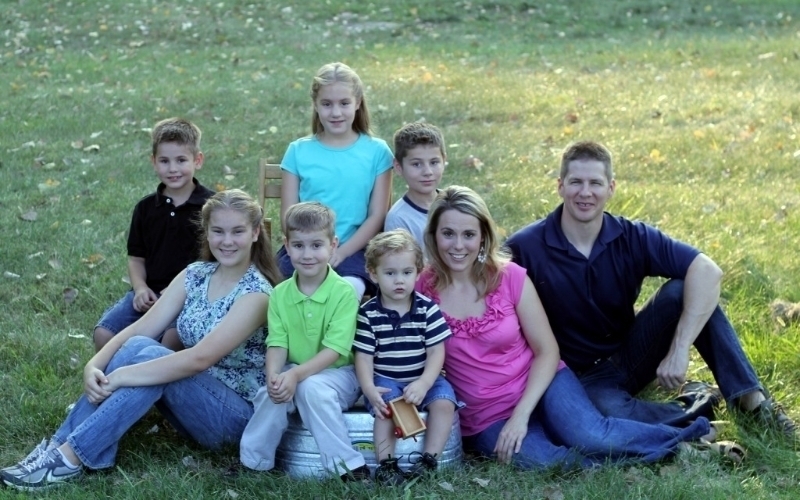 Angela Coffman is a mom of 6 known for being able to do a lot with little money. Her goal is to help you reach your financial goals by eliminating waste in your every day spending. She offers menu planning–healthy, money saving, recipes and a step by step action plan to make the week run smoothly. If you’d like to read more about her $40o grocery budget you can do that here, here, here, and here. Love this post! 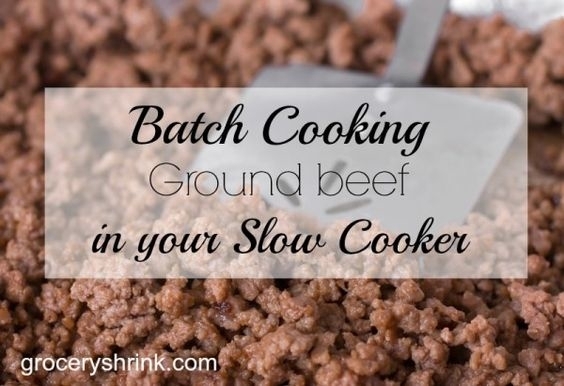 Some things I never thought of doing in a crockpot, but what a genius way to cook up a lot of ground beef for multiple meals, freezing, etc. Gotta try the eggs–so curious to see how they come out. Beats trying to remember to pay attention to them on the stove top. 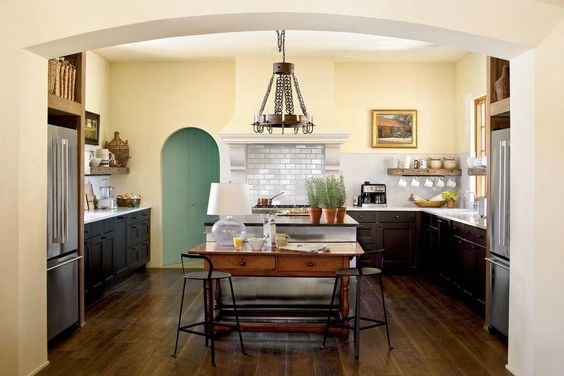 I love seeing home transformations like this one. Most people can’t walk in to a place like that and get over the flaws and see the potential. I’ll have to check out updates down the road. Exciting!